I’ve spent the morning in company of Gretel Ehrlich, or to be more precise: with her book The Solace of Open Spaces (1986). Territorial Wyoming was a boy’s world. the land was generous with everything but water. At first there was room enough, food enough, for everyone. Fencing ultimately enforces boundaries, but barbed wire abrogated space. It was stretched across the beautiful valleys, into the mountains, over deserted badlands, through buffalo grass. The “anything is possible” fever – the lure of any new place – was constricted. The integrity of the land as a geographical body, and the freedom to ride anywhere on it, were lost. Gretel Ehrlich is, as I read her, writing about Genius Loci (the special atmosphere of a particular place). And she is showing us, her readers, how people can – and often do – change the spirit of a place, without even thinking about the space or place as a body in itself. I’m so glad you discovered Ehrlich. I have loved her writing for a long time. Genius loci, indeed…good call. Its such a fantastic feeling, to know that I have so much yet to discover! As a former Wyomingite, Genius Loci it is, and few express it as well as Ehrlich. Here is a bit of background for you. 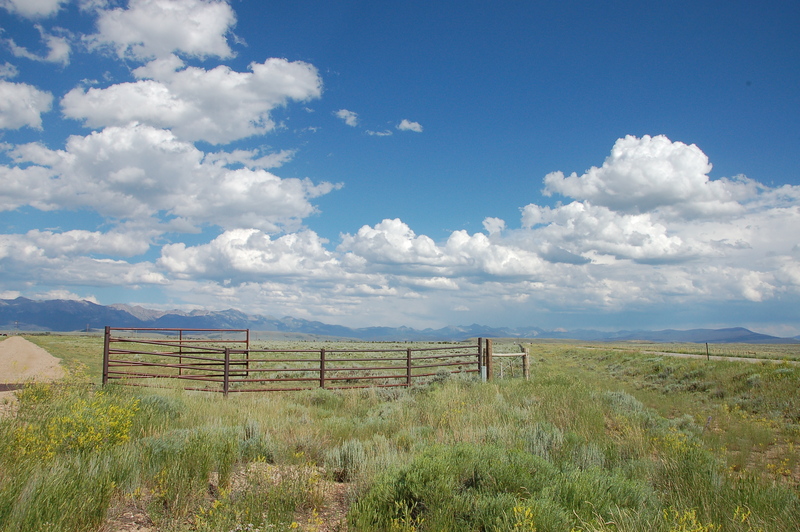 Wyoming is sometimes referred to as the Equality State as it was the first territory and state to give women the vote but like the fences, equality has a political motive. Wyoming has always struggled for population–it still ranks last in state population–to go from territory to state required a certain population total so women were given the vote. Wyoming is a starkly beautiful land, almost all of its altitude is over a mile high and snow is possible any day of the year. Perhaps more than you wanted to know but Genius Loci is so apt for state and Ehrlich’s writing. Not too much at all, thank you! Maybe coming from the west coast of Norway would make me feel at home in this terrain. Especially if the climate also includes rain -. Hi, this sounds incredible interesting, BUT there is no link turning up on my page … can you give some more details so that I can try to insert a link? WAIT – I found it! Thanks for this I will have to seek out this book . I don’t know Gretel Ehrlich’s work, but books that deal with the spirit of place – and particularly open space – usually have great resonance for Australians. I shall hunt it down. Does Ehrlich deal with issues to do with the dispossession of indigenous inhabitants and their beliefs about the spirit of place? I’m also new to her books, so I don’t know yet – hopefully I can tell in a few weeks time! But Lyn, do you know about the concept “songline” as something the aborigines use to find their way in the outback? Like a melody they sing to find the path? Aboriginal ‘songlines’ in Australia are usually associated with Aboriginal Dreamtime or creation stories – the songs of how their ancestors brought their land into being and left their marks upon it. They can also be used to track ritual paths through their land by ‘singing’ the landscape. Bruce Chatwin’s book, ‘Songlines’ from the 1980s was a very personal, evocative and imaginative (though not particularly accurate) treatment of the ideas of songlines. Worth a read if you’ve not encountered it before.